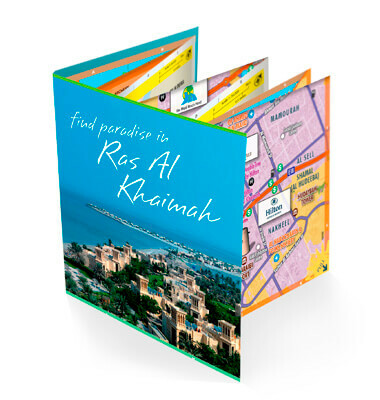 The award-winning cartographers and designers produced a customised map of Ras Al Khaimah with the aim of attracting more visitors to this fascinating emirate. The customised resource may be small enough to slip into a pocket, but is an indispensable map of the city’s road networks, area names, significant buildings, attractions and new developments. Using satellite imagery, definitive icons and clear keys, Explorer pinpointed RAK’s hospitals, parks, hotels and more. The client’s exact specifications were also met.